Mechernich, Germany. Cash handling specialist GeWeTe is expanding its sales team in UK and Ireland. Michael “Mike” Finigan has been account manager for the Gauselmann subsidiary since 15 September 2017 and reports directly to Mark Edmundson, Sales Director UK/Ireland. 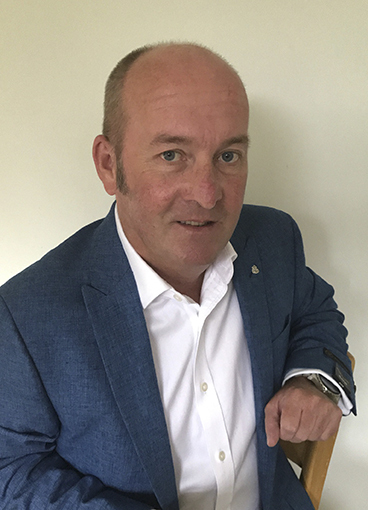 Michael “Mike” Finigan has worked in the gaming sector since 1982 – as service engineer, product manager and account manager, among others, for various renowned companies within the machines industry. His experience also covers trade and development. “I’m looking forward to actively contributing my know-how and my professional experience in such an innovative company as GeWeTe,” says Michael “Mike” Finigan about his new position. “Michael Finigan has excellent connections within the sector and knows the market demands. He brings along the best combination of technical experience for GeWeTe products and the right vigour for advising and supporting our customers. We look forward to a successful collaboration,” explains GeWeTe managing director Aristidis Tsikouras.